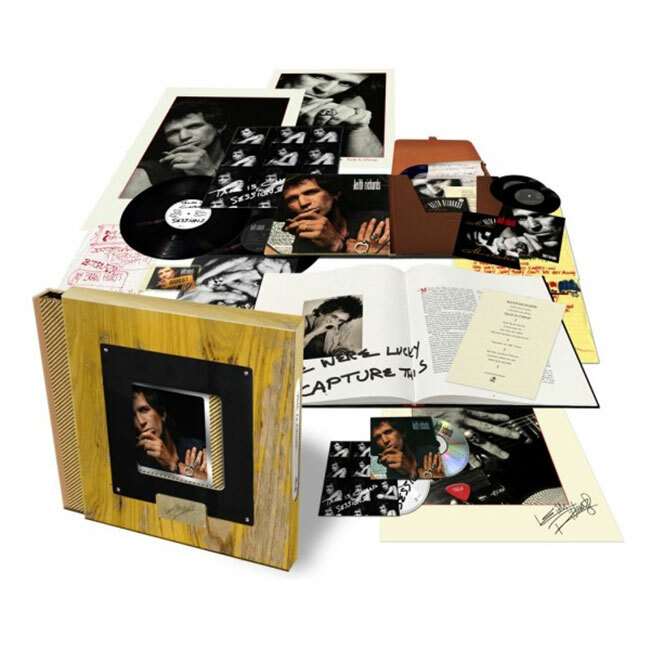 Keith Richards has announced a 30th anniversary deluxe edition of his debut solo album Talk Is Cheap on March 29th. The set will be available on CD, LP, digitally and as a Super Deluxe Edition with real-wood case that was hand-built and aged at Fender Custom Shop, using the same materials as Keith’s iconic vintage Telecaster, Micawber. In 1988, on a break from The Rolling Stones, Richards released his first ever solo album, Talk Is Cheap. This universally respected debut is an 11 track masterclass in everything that’s good about rock ‘n roll and features guest appearances from an all-star cast including Sarah Dash, Bootsy Collins, Maceo Parker, the Memphis Horns, Patti Sciafia and Mick Taylor. Remastered from the original tapes by Richards’ collaborator, Steve Jordan, the album’s joyous swagger is re-energized and permeates through each and every song. Richards will make 250 signed copies of the Super Deluxe Edition available exclusively via his website. The autograph will be on a 12×12 art card inserted in the package. The Super Deluxe Edition will include the remastered album on CD and 180-gram vinyl, CD and 180-gram LP of bonus material featuring the six unreleased tracks, 7″ single of “Take It So Hard”/”I Could Have Stood You Up,” 7″ single of “Make No Mistake”/”It Means A Lot” and an extensive 80 page hardback book with Anthony DeCurtis written essay featuring a new interview with Keith, including extensive rare and unseen photos from personal archives. Exclusive merchandise is also included featuring a tour laminate, lyric sheets, reproduction Talk Is Cheap playback invite, tour guitar pick and two posters all enclosed in an exquisite deluxe folio pack.